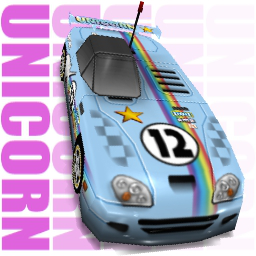 - The car is based on "Terrazi Cowboy" from Ridge Racer Type 4. - This car's name is due it is a one seater, which could've been a two seater. - The original idea was to make the paintjob from the game, but then PaintHeart thought that something original was just as good.